Dr. Pushpa Mittra Bhargava- IDF steps towards strengthening scientific temper. Founder of the Centre for Cellular and Molecular Biology (CCMB) and widely regarded as the architect of modern biology in India, Padma Bhushan Dr. Pushpa Mittra Bhargava appreciated the work of IDF. 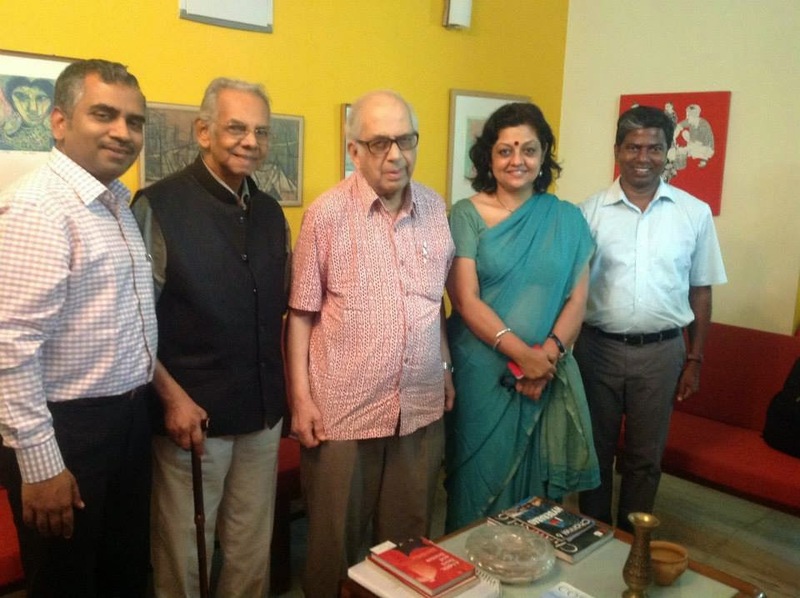 Team IDF called on Dr. P.M. Bhargava at Hyderabad on 31-07-2014. The team also met the scientist and writer Mrs. Chandana Chakrabarti who will be supporting IDF's mission to inculcate scientific temper in young minds. Dr. ARK Pillai, Dr. Narayan Iyer, Dr. S. Franklin and Mr. Sanjay Ram from IDF thanked the eminent scientists for accepting the offer of support to spread the message of goodness. On 24th Jul 2014, AIRTEL distributed Books, stationary etc to children in IDF ASBP Bal Gurukul Hyderabad. A few employees from Airtel participated in the activity. All the children were happy to receive the school kits. Yash technologies distributed School Kits, Hyderabad. 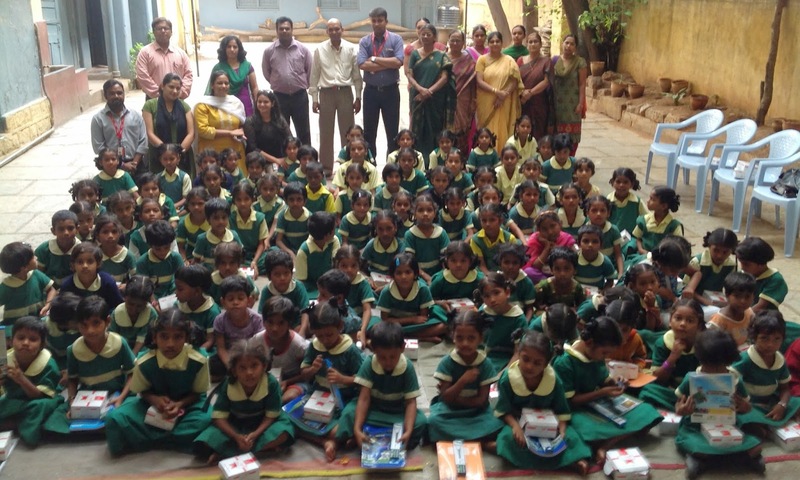 On 23rd Jul 2014, Yash technologies distributed School Kits (school bags, books, stationary etc) to children in IDF KGNMT & IDF ASBP Bal Gurukul Hyderabad. 80 employees from Yash technologies participated in the activity. Lot of fun filled activities was arranged by Yash employees. All the children were happy to receive the school kits. 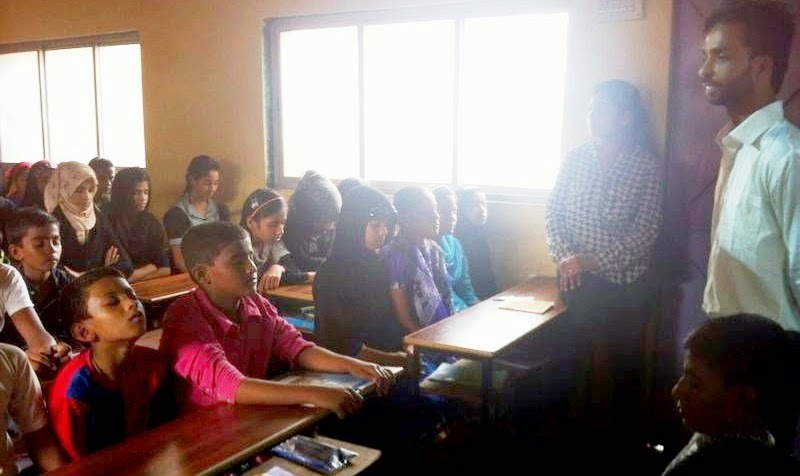 Indian Development Foundation (IDF) launches Student Leadership Programme (SLP) training Values/ Hygiene/ Leadership skills among students in from aided/ unaided/ municipal schools. 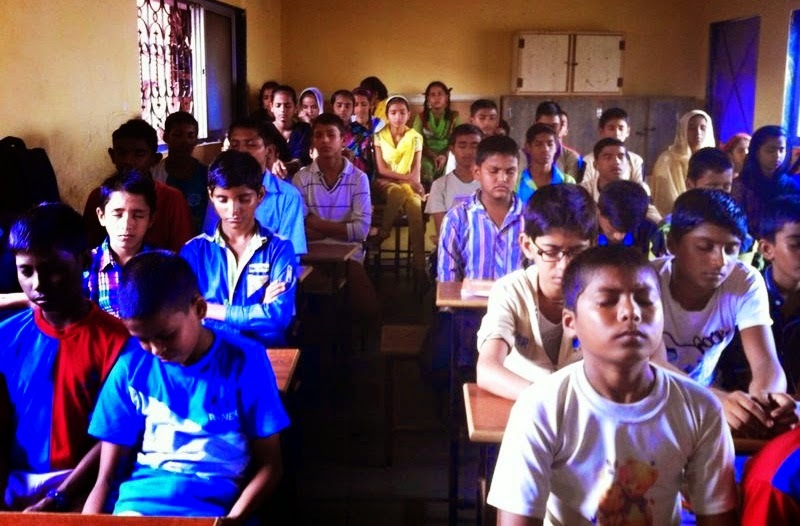 The training has started in St. Mathew's High School, Mumbai. The training programme/ workshop is focused on the basics and qualitative skill development of the student; development of the traits which would lead them to be an informed & improved individual. Several volunteers have came forward to be part of the training workshop, IDF Social Ambassadors/ trainers have been trained for the delivery, content, class management necessary for the workshop. Humanist and Social Reformer Dr. Bindeshwar Pathak, Founder of Sulabh International appreciated the work of Indian Development Foundation. Dr. Narayan Iyer and Mr.Kovid Oli met Dr. Pathak at Sulabh International Office, Delhi on 18-07-2014. The team apprised Dr. Pathak on the national work of IDF. Team IDF congratulated Dr. Pathak for his exemplary national work. Dr. Bindeshwar Pathak is a great humanist and social reformer of contemporary India. To the weaker sections of society especially, his is the compassionate face of a paternal redeemer. He has the vision of a philosopher and the undying zeal of a missionary. Dr. Pathak will be remembered in history for his innovative strides in the field of sanitation as well as social reform. With his efforts erstwhile untouchables have been allowed by the society to intermingle with them and to live on par, dining with them and being allowed to offer prayers in the temples. Dr. Pathak has created a new culture which embraces the poor and extols the dignity of labour. He is an icon of sanitation and social reform who has made a difference in the lives of millions of people. IDF conducts TB & Leprosy awareness. Indian Development Foundation (IDF) conducts TB & Leprosy awareness at NREGA working site fir the workers in Valavanthan, Kottai and Periyar Nagar. Most of the women in this part of rural area work for NREGA scheme. Indian Development Foundation (IDF) creates TB Awareness via Puppet Show and Film Show @ Railway Mixed School, Trichy. IDF launches St. Michael's Bal Gurukul & Teacher Empowerment Programme, Bangalore. IDF launched St. Michael's Bal Gurukul & Teacher Empowerment Programme at Bangalore, Karnataka. Fr. Christy, Manager, St. Michael's School made the arrangements for the inaugurations, Mr. Albert Selvanayagam, Principal of Bangalore community college was the guest of honour. Mr.Albert Selvanayagam conducted a motivation programme (Teachers' empowerment programme) exclusively for the high school teachers. Our special thanks to Fr. Christy, and St. Michael's School school for extending all support.